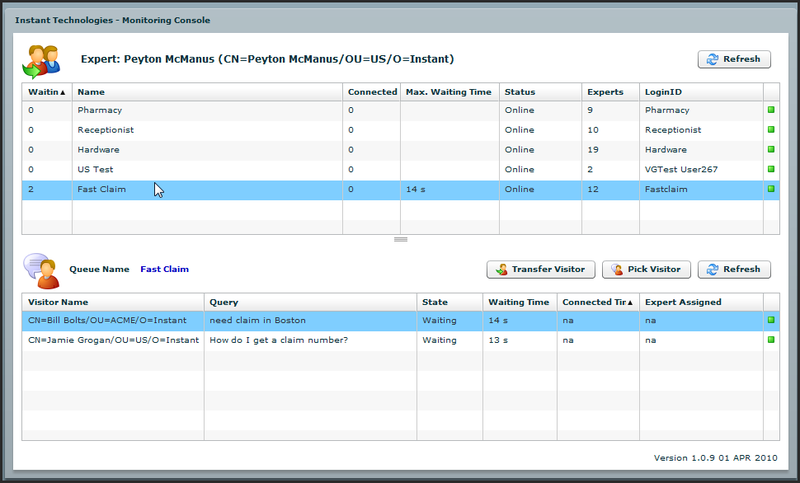 Monitored queues are one of the major features of the latest Instant Queue Manager V4 for Lotus Sametime. Our monitored queues provide a central point where experts (CSRs), manager, and administrators can monitor, and act on, any inbound IM queue request. For our customers running internal help desks, IT support centers, and sales enablement centers, the ability to expose Lotus Sametime click to chat functionality is seamless and scalable. 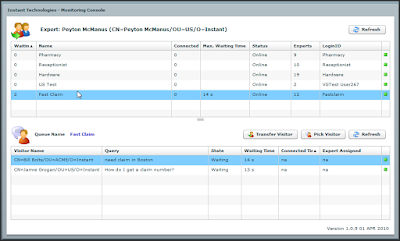 Customers start a conversation with a monitored queue either through a web based chat client (our new Ajax based chat client is fantastic), via an Instant Interview, or by starting a conversation with a queue in their Sametime buddy list. However, instead of broadcasting the incoming customer request to a list of experts, the inbound queue request is managed, and exposed, using a nicely designed queue monitoring panel. 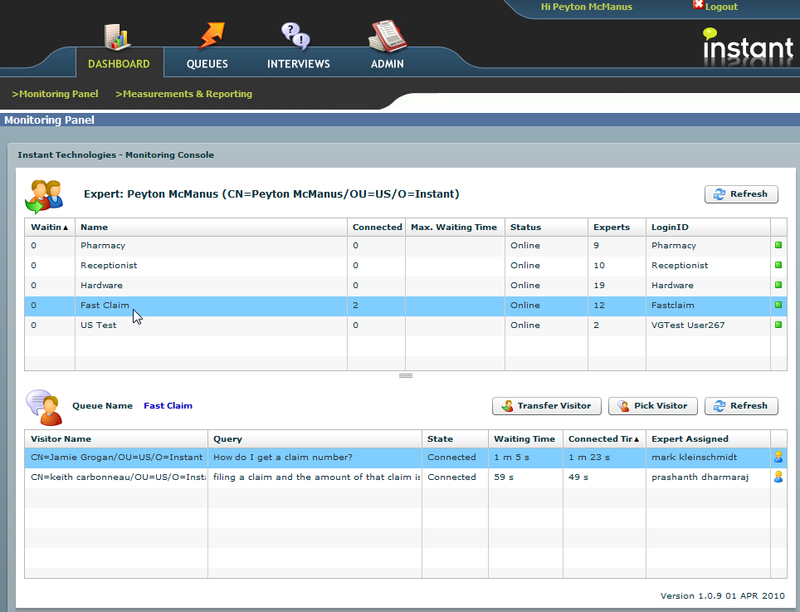 Using the queue monitoring panel, requests can be viewed, accepted by an expert using the experts Sametime client, or transferred to another queue. 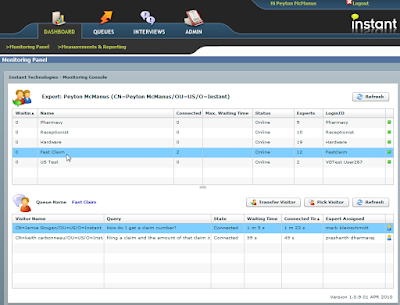 Columns within the monitoring panel display the name of the inbound customer, their question, their wait time, and whether they are connected with an expert (CSR) or awaiting a connection. A summary panel for all queue information provides administrators with summary statistics on total queue activity - including how many inbound requests are waiting for a connection, how many customers are connected with an expert, and the maximum wait time within a queue.